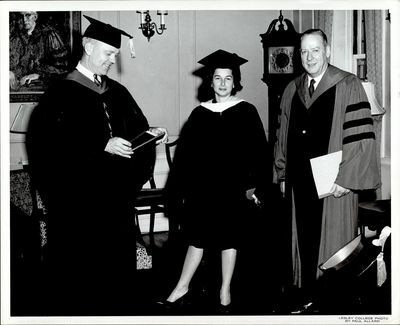 Unidentified men and a woman around the time of commencement. A painting of a robed figure can be seen behind the man on the left, as is a grandfather clock behind the man on the right. A chandelier is present within the room as well.